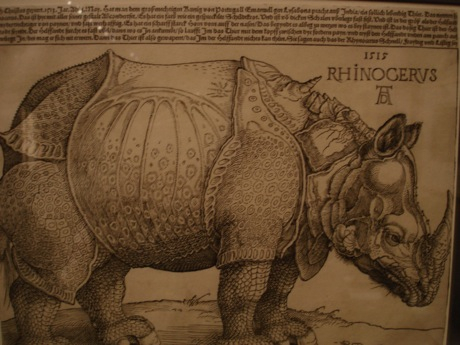 Albrecht Dürer never saw the rhinoceros that arrived in Lisbon as a gift from Sultan Muzafa of Cambay to Emanuel I, king of Portugal, in May 1515. He made this woodcut after a drawing of the animal sent by a printer in Lisbon to a friend in Nuremberg. The Rhinoceros became one of the artist’s best-known prints; it served as a model for European artists representing this rare beast well into the eighteenth century and continues to inspire artists today.